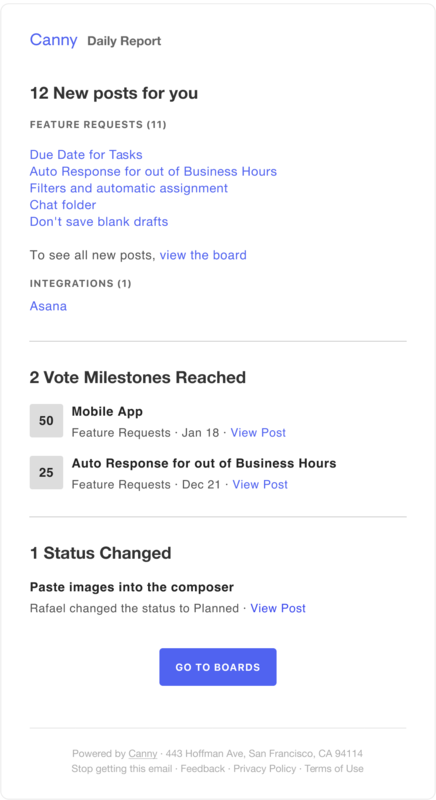 All about the reports we send to all teammates with new posts from the week, milestones hit, and recent status changes. We send reports to make sure you're up to date on the newest feedback for your product. You can change the frequency of these reports in your email preferences.